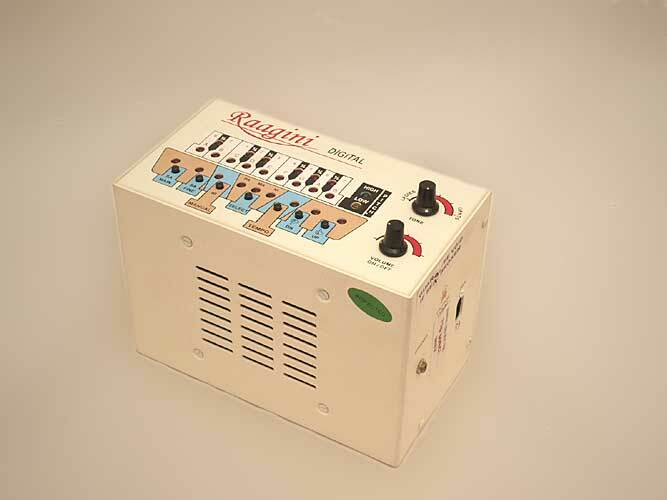 This electronic Tanpura shows a sound quality that is very similar to a Tanpura and has a robust metal housing. 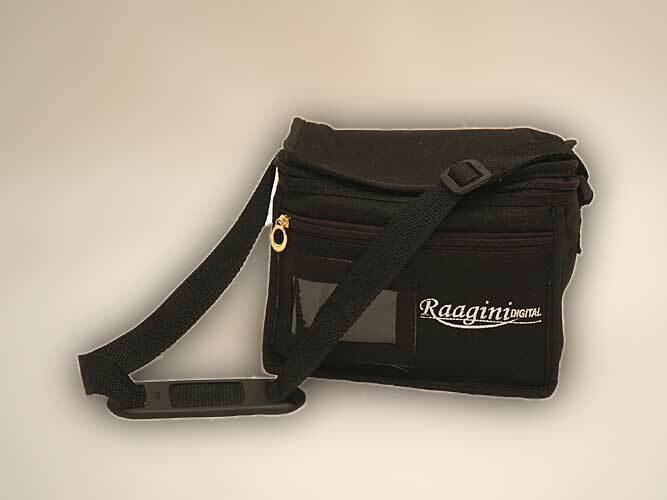 The Raagini Pro is used in concerts by many professional musicians because of its excellent sound, the easy handling and the manageable size. 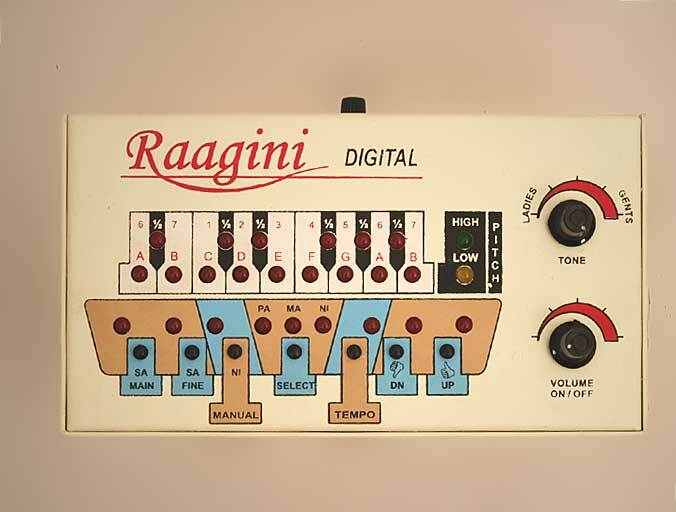 A rotary knob brings all notes together to the desired pitch. You set the desired keynote in half-steps of the scale (the delivery setting is 440 Hz which can also be changed by fine tuning) and subsequently the other notes are tuned automatically. There is a further knob which allows the fine tuning mentioned above. A very fine tuning of the pitch is possible. By means of a switch you can choose if you want the first string to sound in Pa or Ma, to be silent or adjustable by a further knob. 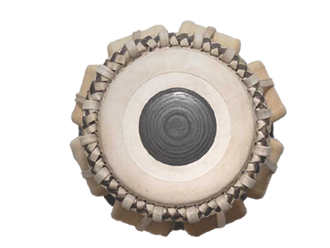 Thus you can also use the instrument for Ragas without Pa and Ma (such as Marwa, Puriya, Gujari Todi). 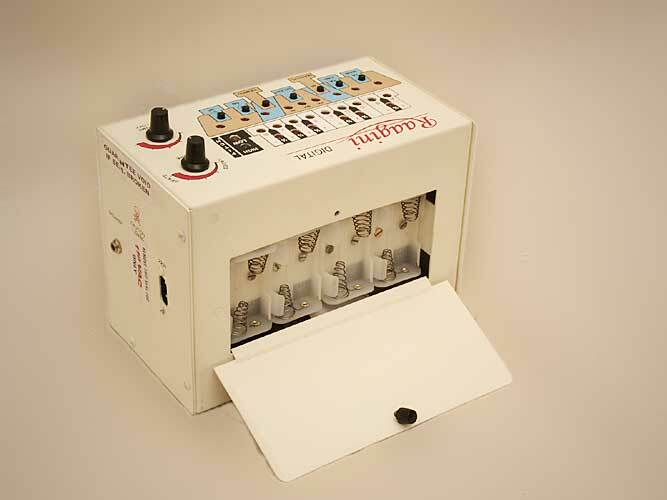 Volume, timbre and speed are infinitely variable. 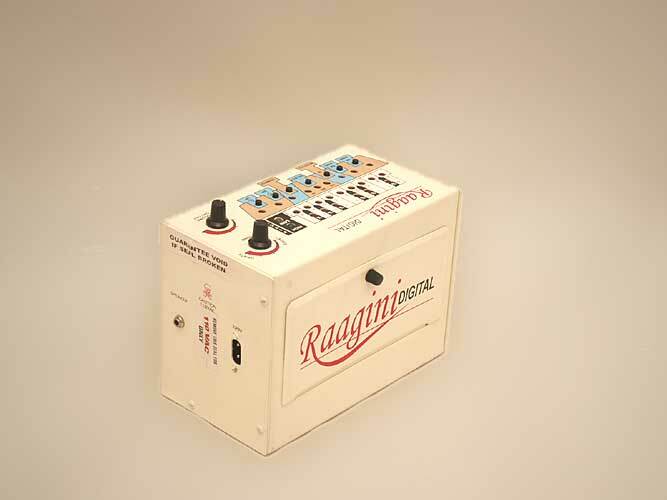 There is a connection for an external loudspeaker.